Make February a month of struggle against police brutality and mass incarceration! 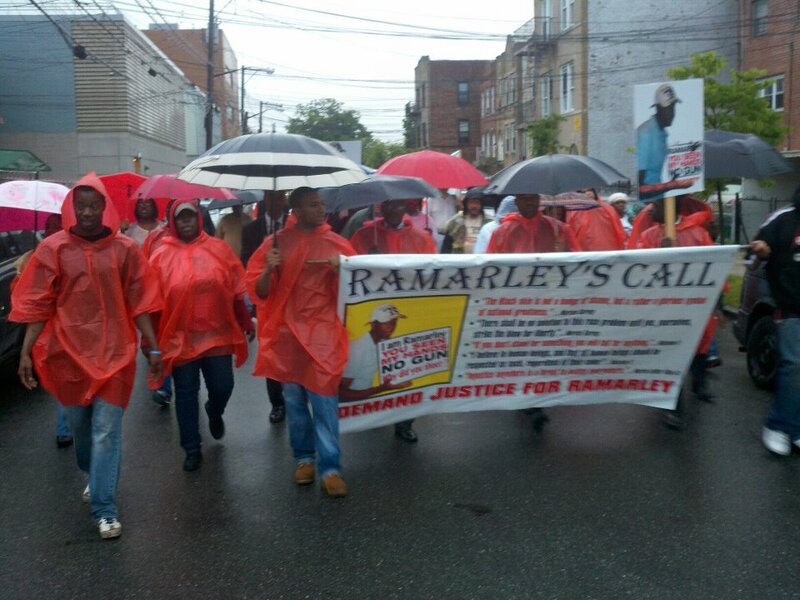 This February is the one-year anniversary of the NYPD murder of Ramarley Graham. The families of the victims of police brutality are speaking out. Community and door-to-door outreach is happening every day. Cultural events and mass forums are taking special aim at the epidemics of police brutality and mass incarceration. Stop-and-frisk is facing a serious legal challenge that is exposing the program's racism and unconstitutionality. Now is the time to get involved, to help turn the widespread outrage over police brutality into a grassroots movement. The February calendar is full of exciting events, forums and performances, culminating with the Feb 23 'Stop the Cops' Unity March from the Bronx to Harlem. An expanded list of organizations have now endorsed the march, and the momentum is building. If you believe in this struggle, click this link to join an outreach team or get connected to an organizer in your area. You can also show your support by making a much-needed donation to help cover the cost of flyers and posters, for our door-to-door teams to use. Wherever you are, you can also share this message on Facebook and Twitter. 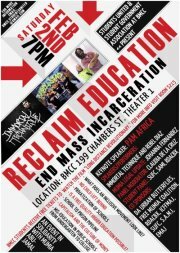 Lets bring in the New Year by reclaiming OUR education and addressing the most important issues of our generation. 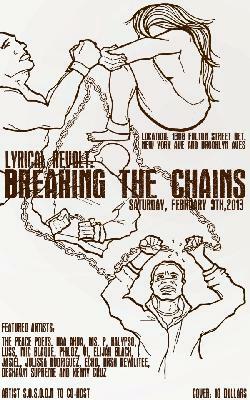 Lyrical Revolt 24: Breaking the Chains! ... from frisking and brutalizing our youth! ... from targeting immigrant and Muslim communities! ... from harassing women and LGBTQ people! 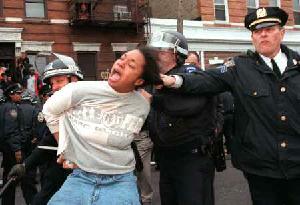 Stop-and-Frisk won't stop crime—Stop-and-Frisk is the crime!